Falvey Memorial Library :: Don't miss the Grand Opening of The CAVE this Thursday! Don't miss the Grand Opening of The CAVE this Thursday! 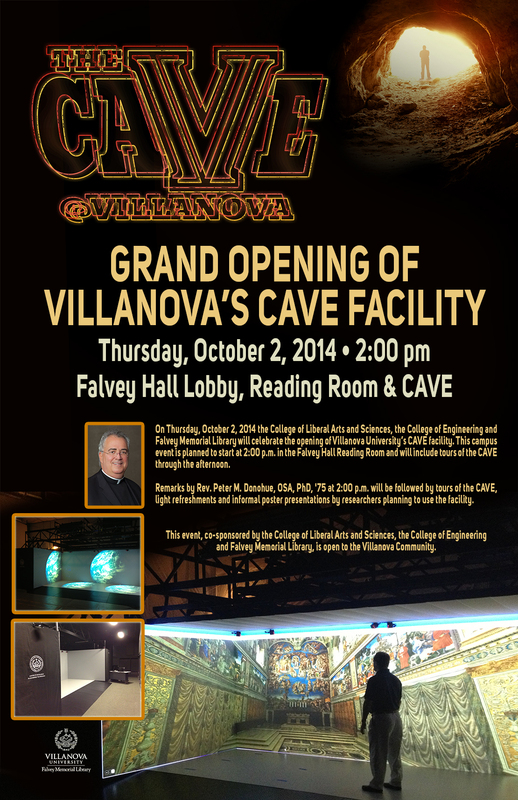 On Thursday, Oct. 2 at 2 p.m., join us for the grand opening of Villanova’s CAVE Facility in Falvey Memorial Library. The CAVE, an immersive virtual reality environment, is an interdisciplinary venture among investigators from the College of Liberal Arts and Sciences, the College of Engineering and Falvey Memorial Library. The facility will provide Villanova’s faculty and students with many research and educational possibilities. Next best thing to being in The Cave! Click on below link to view logo in action. 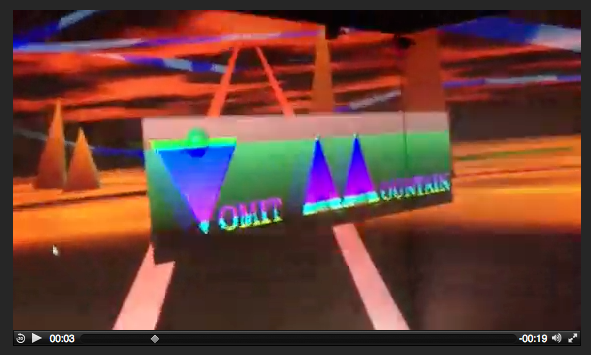 Click here to observe a sample effect of the CAVE in action. It is supported by a $1.67 million grant from the National Science Foundation. Light refreshments will be served and tours will run throughout the afternoon.